I’ve been very impressed by two recent television programmes on dyslexia. Both help non-dyslexics understand dyslexia and the difficulties and frustrations it causes, and provide encouragement to anyone who has or thinks they may have dyslexia. My Dyslexic Mind is a great introduction to dyslexia for children, and indeed adults. Presenter Ben Hunter is a twelve year-old with dyslexia. He and the dyslexics he speaks to give moving accounts of the problems they face – not just the huge effort of trying to get to grips with reading and writing, but the impact on their self-esteem. Pre-diagnosis, they blamed themselves, thinking they were ‘thick’. Ridicule, and the fear of it, are widespread. Dominic Wood remembers his humiliation at six, when his teacher moved the others in the class on to the next book, but said he had to go back to the ‘baby books’ as he couldn’t read. To know more about dyslexia, Ben undergoes tests to see how his brain differs from those of non-dyslexics. His interviewees highlight the advantages those differences can bestow. Dom is sure he would not be where he is today without dyslexia. Thirteen year-old Zac no longer worries about his lack of academic skills. His inventiveness and creativity outweigh any disadvantages. He urges young people like him not to let dyslexia hold them back. 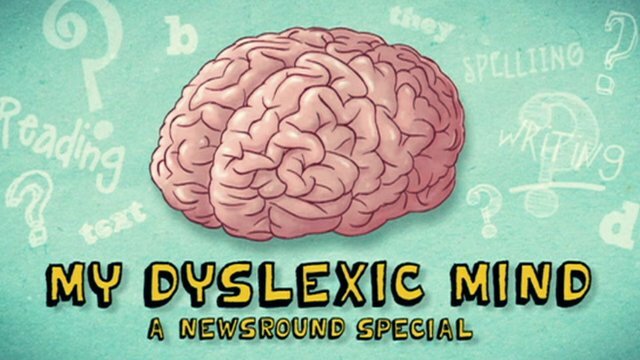 The BBC has launched an interactive website Try Being Me to help children understand more about dyslexia. Dyslexic: My Secret Past also gives a valuable insight into dyslexia. 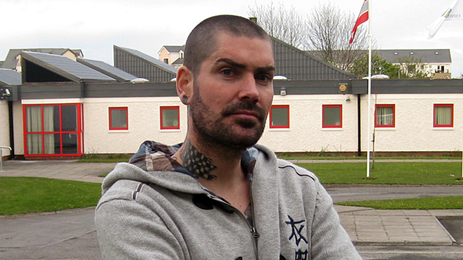 Shane Lynch of Boyzone never felt able to admit his literacy problems. It was only when his three year-old daughter noticed that he made the words up when he read to her that he decided he had to take action, both for his own sake, and to break the taboo around asking for help. Lynch talks to dyslexic children, a dyslexic young offender and a dyslexic student about their struggles and how they are overcoming them. All have experienced deep feelings of shame. We see Jenny, the student, failing to find a book she wants in the library, because she is embarrassed to ask for assistance. Given all the training I give on supporting children and young people with learning disabilities in libraries, I found this very significant, and his remark to her that he would never in a million years go into a library to find a book. The prospect of tests to diagnose whether he is dyslexic fills Lynch with dread. If he isn’t, his lifelong fear that his problems are due to stupidity and laziness would be confirmed. But the tests reveal the reverse, and an enormous weight falls from his shoulders. He now feels able to tackle things that previously he was afraid of, and looks forward to his daughter going to school and having to help her with her homework, as it will spur him on further. Lynch ends the programme with a plea to anyone who, like him, has feared knowing what lies behind their literacy difficulties to find out and get help. Well worth watching, and worth looking too at the comments. I have also just discovered a useful Teachers TV programme on dyslexia. Dyslexia Friendly Classroom explores some of the issues dyslexics face and ways to help.